Dark Horse is certainly no stranger to the New York Times Bestsellers List, with the publisher sending four books to the top. Now, they can proudly crow about a fifth on the list, as Avatar: The Last Airbender: The Rift, Part 1 has just hit number one on the fabled list. The book debuted at number one on the New York Times Best Sellers list for the week ending March 8, 2014. It even managed to beat The Walking Dead Compendium and is the ultimate continuation of Avatar and the perfect companion to The Legend of Korra. In this installment of the ongoing story, Aang asks his friends to help him honor an Air Nomad holiday that hasn't been celebrated in over one hundred years. But cryptic visits from the spirit of an earlier Avatar lead Aang to discover a jointly owned Fire Nation and Earth Kingdom refinery operating on land sacred to the Airbenders. Is this the cause of the pollution Aang finds there or is something more mysterious happening? 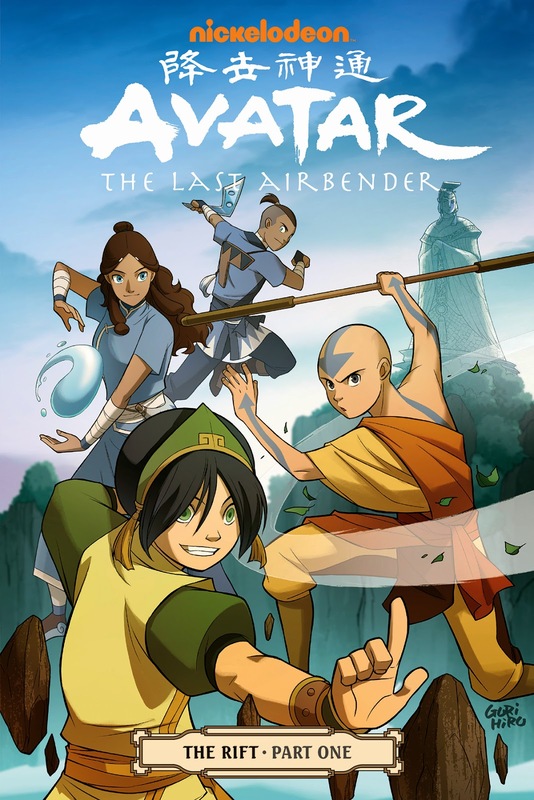 The Nickelodeon and Dark Horse graphic novel, “Avatar: The Last Airbender: The Rift, Part 1,” debuted at number one on the New York Times Best Sellers list for the week ending March 8, 2014. Rising above The Walking Dead inspired book, “The Walking Dead Compendium,” this new graphic novel is the ultimate continuation of Avatar and the perfect companion to The Legend of Korra. This book was written and drawn by Gene Luen Yang and Gurihiru, in collaboration with Avatar: The Last Airbender and The Legend of Korra creators, Michael Dante DiMartino and Bryan Konietzko. This same creative team was behind the best-selling “The Promise” and “The Search,” which continue the adventures of Avatar Aang and his friends past the finale of the beloved television series.